According to World Bank statistics, in 2014, fossil fuels provided 80.8 % of the total energy consumed worldwide. The environmental problems associated with the use of fossil fuels, in addition to the depletion of their reserves, are the reason for several worldwide plans to decrease this dependency, focusing on developing new clean energies. One example are the “202020 targets” from the European Union, which prioritize the recovery of energy from biomass and non-recyclable waste products. One of the key actions of this plan is the use of biomass as a partial or full replacement for fossil fuels. Biomass is a widely-available source of energy that produces less greenhouse gas emissions than fossil fuels. Lately, much research has been conducted in order to include more materials in the term “biomass,” from wood chips specially prepared for energy use to materials that were previously considered waste and are now used as energy sources, such as shells or sewage sludge. On paper, all these benefits should be enough to replace fossil fuel with these materials, so what is the problem? Why is the world still dependent on high-contaminant products like fossil fuels? 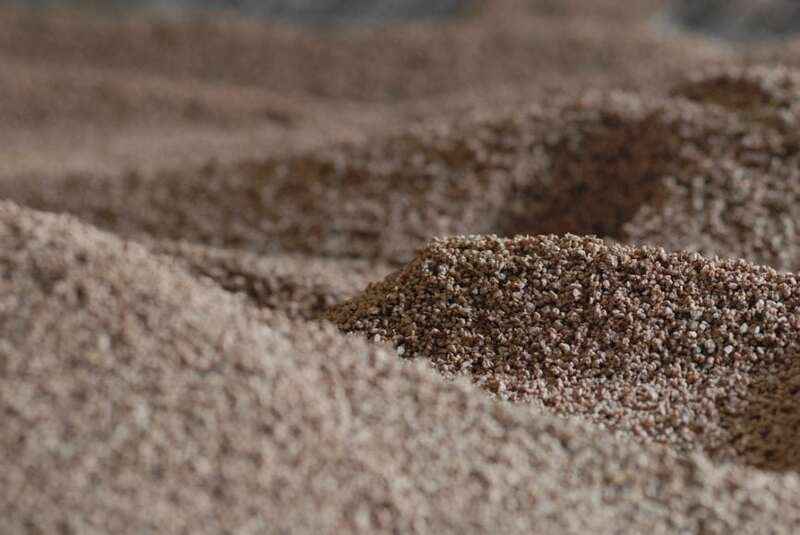 Biomass has a lower energy density, so more material is needed to produce the same amount of energy, and a high investment in new industrial facilities would be necessary to use it. However, an intermediate solution is becoming more common: co-firing. 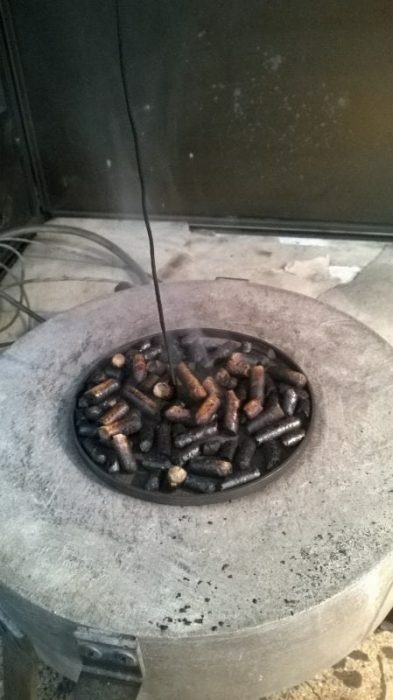 Co-firing is the combustion of two or more different types of materials at the same time, and it has been mainly implemented by mixing coal and biomass, reducing atmospheric emissions and particulate matters. Instead of using biomass, co-firing can also use waste materials, recovering energy, reducing the disposal volume, and safely destroying toxic organic residues. Since we are speaking about treating solid fuels, there is an industrial hazard that needs to be taken into account: any solid material presents an ignition risk that needs to be completely determined before working, handling, or processing it. When a dust material ignites, it can evolve until a dust explosion occurs. To avoid this risk, any industrial facility should characterize its solid materials and know the conditions it needs to address in order to have a safe working space. However, what happens when two types of dust with different properties are mixed? Is the risk the sum of both? Should we just use the most hazardous material’s properties? 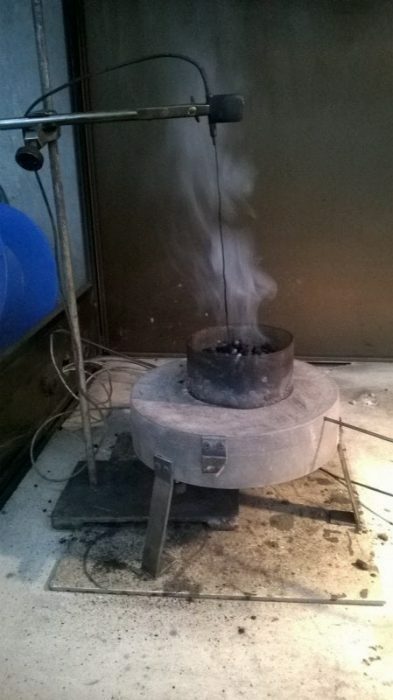 In order to answer these questions, the ignition sensibility of solid mixtures was studied in a collaboration between the Laboratorio Oficial Madariaga (Universidad Politecnica de Madrid) and the University of Leeds. Ignition sensibility parameters define the ease of ignition of a solid material. Two different situations need to be studied: when the solid material is deposited as a layer, and when it is dispersed in a dust cloud. Dust layers are a potential ignition source when they ignite, so the temperature that the dust cannot reach in order to avoid their ignition has to be determined. When we know this temperature, we have to ensure that the equipment installed in the facility never reaches this temperature (or higher). If a dust layer is perturbed and dispersed into the air, it forms a dust cloud, which can be ignited by a high temperature or an electrical spark, which grows into a dust explosion of severe consequences. The temperature that can cause these explosions, as well as the energy of the electrical spark, has to be defined. As in the case of the layers, the facilities have to ensure that these temperatures and energies are not reached at any moment to prevent dust explosions. We experimentally determined the parameters associated with these processes for single materials and for mixtures and compared them. The materials tested were wood pellets, thermally dried sewage sludge, and coal in ten different combinations: nine binary samples formed by two materials with different ratios and one ternary one formed by the three samples. This study showed that a theoretical determination of these parameters through the base values of their former components is not accurate and provides more relaxed values than the ones needed on these facilities. This means that if we use a mathematical average to determine the risk, we would underestimate this risk and design measurements that would not be enough to prevent the associated explosions. The influence of the different types of materials showed that in the case of cloud layers, light and elongated particles as wood pellets cause an increase on the reactivity of the samples due to the ease of dispersion and suspension. They remain on suspension for longer times, making ignition of their clouds easier, with lower temperatures and energies, so the higher the ratio of these materials in the mixture, the easier the ignition of a dust cloud is. On the other hand, when the dust is deposited as a layer, the heavy and round particles as coal and sewage sludge – that have a higher inert content – cause a layer that makes oxygen access difficult and promotes ignition. These findings are described in the article entitled Ignition sensitivity of solid fuel mixtures, recently published in the journal Fuel. This work was conducted by Nieves Fernandez-Anez from Western Norway University of Applied Sciences, Javier Garcia-Torrent from the Universidad Politecnica de Madrid, and David J.F. Slatter, Muhammad Azam Saeed, Herodotos N. Phylaktou, and Gordon E. Andrews from the University of Leeds. Nieves is a Research Associate in Modelling of Smouldering, sharing her time between the Department of Physics and the Department of Mechanical Engineering of Imperial College London. Nieves has finished her PhD on Flammability of Biomasses at Universidad Politecnica de Madrid (2016), where she also obtained her MSc in Environmental Risks (2012) and BSc in Mining Engineering (2011). Javier is the Director of LOM (Laboratorio Oficial J.M. Madariaga) at the Universidad Politécnica de Madrid.